to practice living in community and simplicity with the other MLS participants. This year we will change our focus of the MLS program in order to facilitate the completion of the new “barn” community space. We are very excited about this because it will enable us to offer more consistent programming throughout the year. Thus this year the MLS program will be primarily a service opportunity. There will be less focus on offering teachings and group process. Participants will have more personal time, and be more independent in taking care of their personal needs. 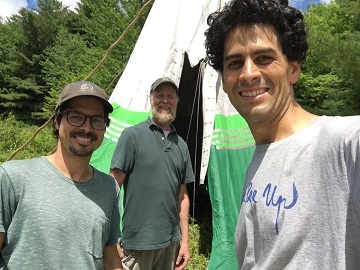 It is a wonderful opportunity to live and work alongside others, cultivating a spirit of kindness and community balanced with time for personal meditation, yoga and reflection; all while in the sanctuary and beauty of the forests and ponds of Morning Sun. This program offers an opportunity to be of service, and is focused around work projects that help build the Mindfulness Center and offering programs there. We are looking for people who are enthusiastic about working together with kindred friends to build the foundation of our beloved community. The MLS participants are an important source of energy and support that allows MorningSun to thrive each summer so that many families and individuals are able to benefit. We truly appreciate your energy and teamwork to help our community grow! MLS participants are also motivated by a strong desire to grow in their spiritual life, so that their presence becomes part of our shared practice life at MorningSun. 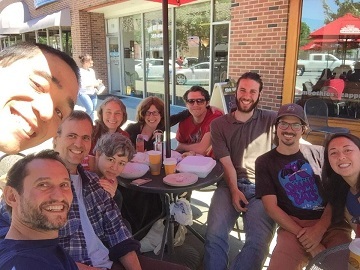 Thus, MLS is a good fit for friends who are enthusiastic about work, practice, cultivating community, (and having fun! ), while at the same time have a good degree of independence and self-direction. During the two months at Morning Sun, MLS participants will have the opportunity to participate in and support the regular Sunday day of mindfulness (DoM), and our 3 summer residential retreats. In June there will be a 4 day retreat for Educators, if this retreat is full participation may be limited. In July there will be a 4 day Wake-Up Retreat for young adults, and a 4 day All-Ages Retreat for adults and families. 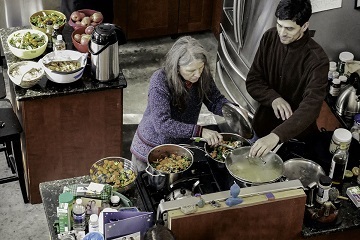 This is a rich and nourishing time of concentrated teachings, practice and community. One “lazy day” per week is also an essential part of our schedule that supports our capacity to release projects, and touch deep joy in ourselves, nature, and community. Aside from our weekly DoM and one lazy day per week, our daily schedule will include morning meditation, shared meals, and a period of service in the morning and most afternoons. The evening period may also be a time for practice, and will be dependent upon the shared interest of the MLS participants and coordinators. Each MLS participant will also be able to meet biweekly for an individual tea and check in with one of the MLS coordinators. 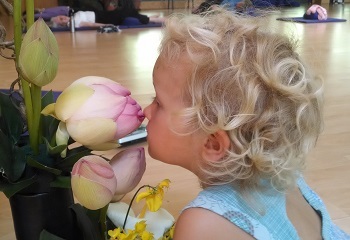 This time is voluntary and is intended to support your practice and happiness at MorningSun. 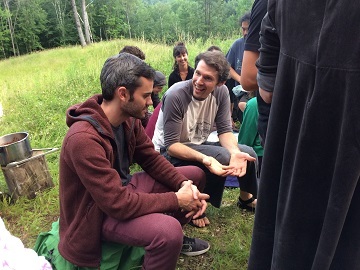 Throughout our time together, we will explore how to apply the practice in daily life and grow spiritual friendships, learning from each other and drawing from the rich experience of the staff who have lived in the Plum Village monasteries and centers, from retreat or Day of Mindfulness teachings and from the rest of the MorningSun Community’s depth of practice. The MLS program operates independently from the life of the residential community at Morning Sun. Most Morning Sun residents will join in MLS program activities as their personal life and work allows. 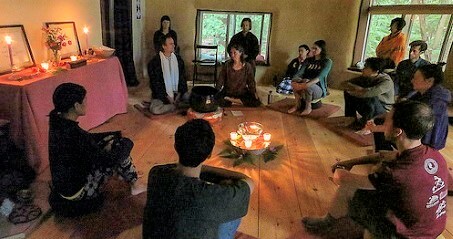 One or two Morning Sun staff will coordinate the program, coordinating the daily meditation practice and work projects. The program runs from June 1st through August 1st, and it is ideal to have as many people as possible to stay for the full two-month period. However, unlike past years, we are requiring everyone to make commitment for the full two months. In order to help us finish construction on the barn and have our retreats well-staffed we are also welcoming people to come for shorter periods. It is possible to come for as short as one week, however, if possible we recommend staying for a period of at least 2 weeks in order to settle into the flow of the community life and programs. If you are coming for a period shorter than the two months, we ask you to be self-motivated in settling yourself into the program, and to understand that we will not be able to restart the program and give full orientations for each new arrival. Basically, jump in and swim! Accommodations will be “simple living” and we spend most of our time outdoors. Most MLS participants will camp. 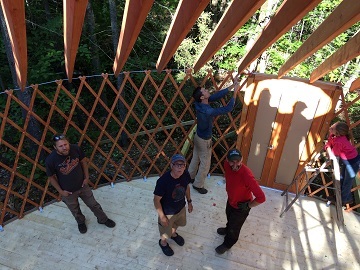 (There may be beds in the yurt or the First Light cabin – these spaces have no electricity or running water, they are heated with a wood stove and use an outhouse.) There are sinks and hot showers at the MorningSun campground shower block. Room rentals may also be available in resident homes, at additional cost (Please ask about this on the application and during the phone interview if you are interested). MLS participants will have a daily work rotation. This includes community service work, meal prep, clean-up, and inviting the activity bell. Given that MLS participants are serving in the community, they are asked to contribute modestly toward costs on a sliding scale of $350/$750 for each month, based on your means. The $350 level covers basic food costs for each month; above that goes towards other costs of running the program. We are committed to making the program available to everyone no matter the financial considerations, so please let us know what you are able to contribute. We will do our best to make it work for everyone. Personal medical and dental care. Personal living expenses (for example: clothing, toiletries, outside financial responsibilities). Transportation to and from the community, (local ridesharing with community members can usually be arranged easily). It is ideal for MLS participants to have a familiarity with the Plum Village style of mindfulness practice, meditation, and the teachings of Thich Nhat Hanh. They are asked to bring the practice of the Five Mindfulness Trainings into their lives while at Morning Sun. This includes the following: No meat cooked or served in our community spaces. No consumption of alcohol, recreational drugs, or mind altering substances. We are encouraged to practice moderation in our consumption of media (phones, computers, music, tv, video, etc), recognizing that what we take into our mind will affect the energy we bring to our practice and the community. We train ourselves to cultivate non-judgment and kindness in our thinking and speech with others. When conflict arises we are committed to using the practices of beginning anew with ourselves and one another. While in Morning Sun, we all do our best to support the collective practice energy by attending Sunday Days of Mindfulness, weekday sitting meditations, and other activities and discussions that are a part of the MLS schedule. During special retreat times MLS participants will attend the retreats and contribute as staff. During these times, work responsibilities will be greater and specific to the needs of the retreat. We always try to work with each participant to understand their needs and balance during the retreats. The MLS program provides an opportunity to offer energy into creating a source of peace and healing for our world through working to build Morning Sun. An integral part of MLS is the work rotation, which includes meal prep, meal clean-up, activity bell, as well as daily community work periods. Work projects will be overseen by the Work Coordinator. MLS participants are expected to serve in a wholehearted and responsible way, and be flexible and adapt to changes in work responsibilities and schedule. Work projects are many and varied and may include tasks like: carpentry, landscaping, gardening, trail maintenance, cleaning, administration and organizing for special retreats. Fill out the simple application form below. Morning Sun will review the application and contact you to set up a phone or skype interview, to further determine compatibility, clarify questions, explore potential work projects, special needs or concerns. After your interview a determination will be made.